Our Gatchaclaws spawned up near the Forest Titan arena. Another player saw one out in the wastelands -- probably wandered out from the city area. You probably pasted it into the wrong ini file. There are TWO different sets of game.ini files in two different WindowsNoEditor folders. The one you want is under "Saved" So you go under Saved --> Saved Config --> WindowsNoEditor --> ini file. Hopefully that helps. Yes. But I'm only getting partial unlocks. Cliff platforms, small wood elevator platforms, and climbing hooks are the biggest issues in getting unlocked right now. I managed to unlock everything else (I believe). Platforms + helps with the cliff platform issue and works fine. Everyone is out of the range of where small wood platforms would do anything for them, so that works. And I was told that this map was not designed for climbing hooks, so I guess that's okay? Normal gigas aren't attacked by everything ?. They attack everything, but nothing in its right mind attacks a giga. Normal gigas are EXTREMELY rare. The only place you'll find them is in a ring just outside of the blue/snow biome dome. It's quite literally the only place you'll find them. So if you farm stuff out there, you should be good. I had just tamed one that floated away like this, much to my confusion. Never found it. O_o At least now I know what not to do. I sat on a high level iguanadon, ran up to their face and started shooting. You can box them in on the back of one too. All the ones that I've done this to will melee the iguanadon and not use any spike attacks. They might have changed the AI since then, but that's what happened when I tamed a few of them. If it's actually Ark 2 and not that pirate game they were working on, I'll most likely buy it. 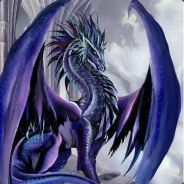 Bugs or no bugs, I have 2000+ hours of happily playing Ark. That's a success by any measurement in my book. That will hurt other strats that aren't as over-powered, such as spike walls. Titans seem to be starving in singleplayer? Working as intended? You, yourself, pointed out that you soloed bosses with the benefit of the singleplayer settings. Without singleplayer settings, you'd have really low harvest rates, breeding rates, growth rates, etc, engram points (seriously, you wouldn't be able to afford anything by yourself). You kind of negate your own argument of saying that you soloed things and you could easily do it without singleplayer, but you're using singleplayer settings to do said soloing. Hypocrite much? I remember before singleplayer settings were implemented. I had to manually code and guess a lot of things when typing stuff out. Singleplayer does that for you, and is NOT cheating. WC has mentioned before that singleplayer settings are intended for solo players or for extremely small tribes of a few people. If you want to be "pure", go recreate your work on an official server. There is a OSD drop site on a high cliff near the red dome. We've come to calling it the "unintentional hard mode". We have them spawn ALL the time there. It got so bad that with the spawn mechanics with a blue OSD, we were getting them with every wave or so (which was hilarious) and then a few more after the OSD was done. We have arm-wrestling matches for that area so we can get more xp from them. XD Just beware. It seems as though the spawn timers for nasties in that area is very fast, and wyverns and reapers are also common spawns in that particular area. This is a bug. Newer-tamed titans lose health, even with raid feeding and singleplayer settings. What you guys need is a GM to go in and quite literally delete the titans. Then you missed the point of my post. The point of my post was that single player settings allow individuals and extremely small groups of people to do some of the end game activities. Single player settings are what allow you to solo bosses. Single player settings are what allow my small group of friends to do activities. You can go into the ini file and turn off single player settings. Sounds like a different version of PvE to me then.